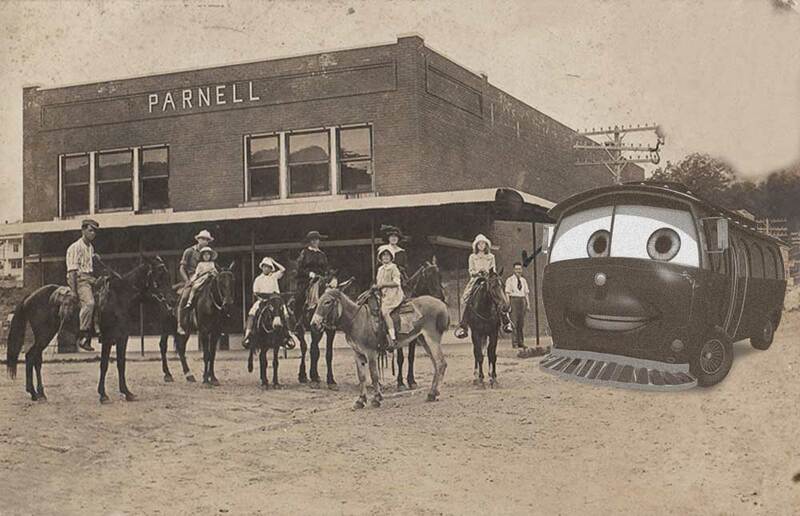 If you’re a fan of Sparky, you may have come up with your own theories about how the Downtown Branson trolley got his name. Some theories we’ve heard involve electricity or maybe even an Ozarks tall tale that coincides with the founding of Branson … and we like to play along with these fanciful explanations. An old Branson photo, circa 1903, recently found in a shoe box. But for historical posterity, we thought we’d give you the real story. 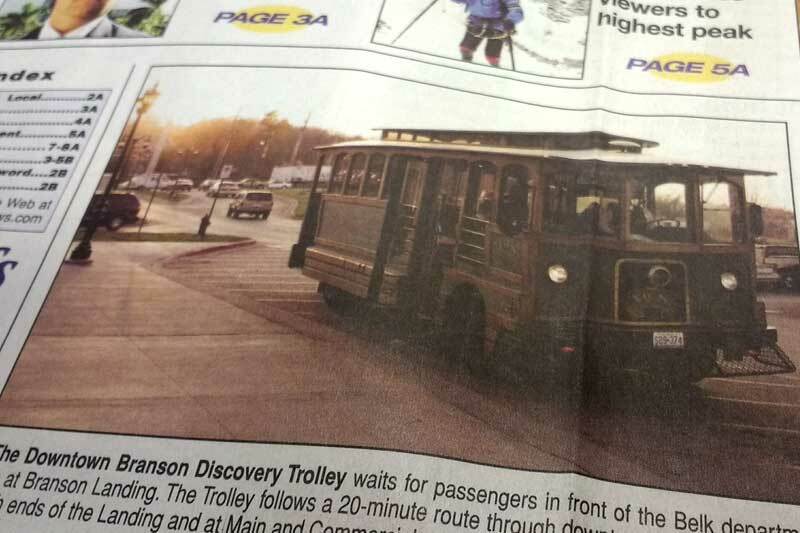 The Downtown Branson Discovery Trolley picks up a passenger in 2008. 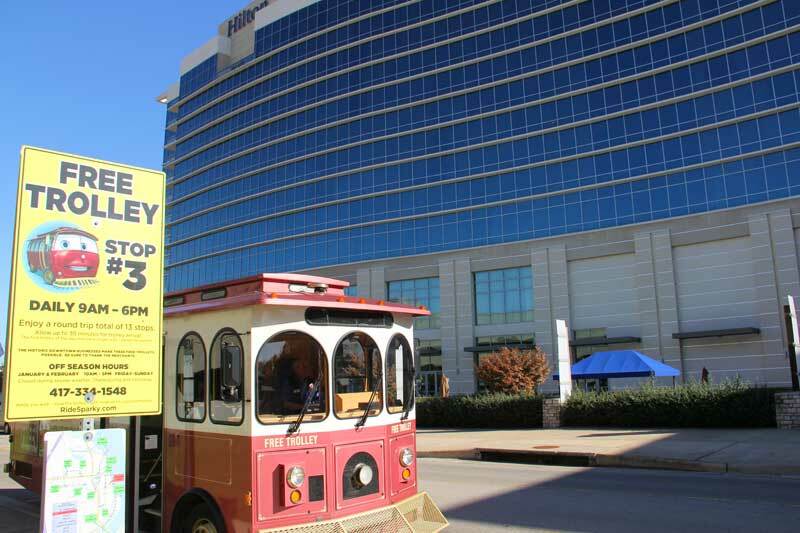 The Downtown Branson Discovery Trolley first came on the scene on Oct. 23, 2006, just as the Branson Landing and the new Branson Convention Center were opening. It was the first public transportation system in Branson and operated within a “Community Improvement District” in downtown. 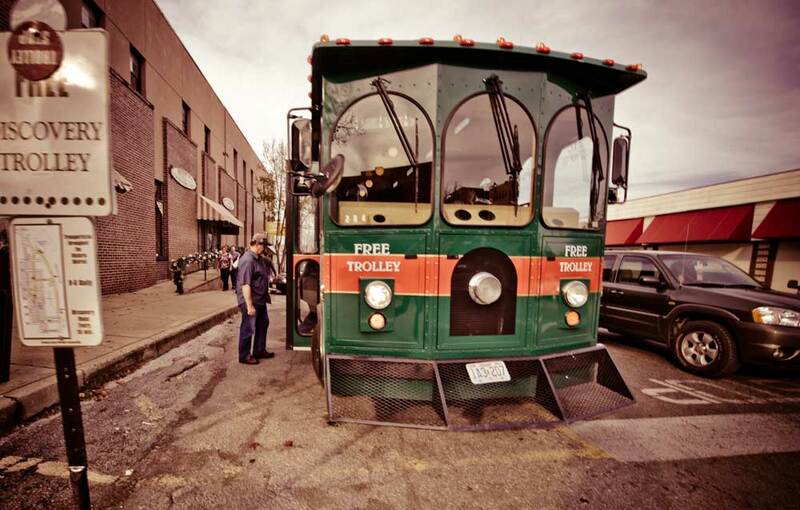 The trolley was free for riders and paid for by a 1-cent sales tax collected by businesses in the district. 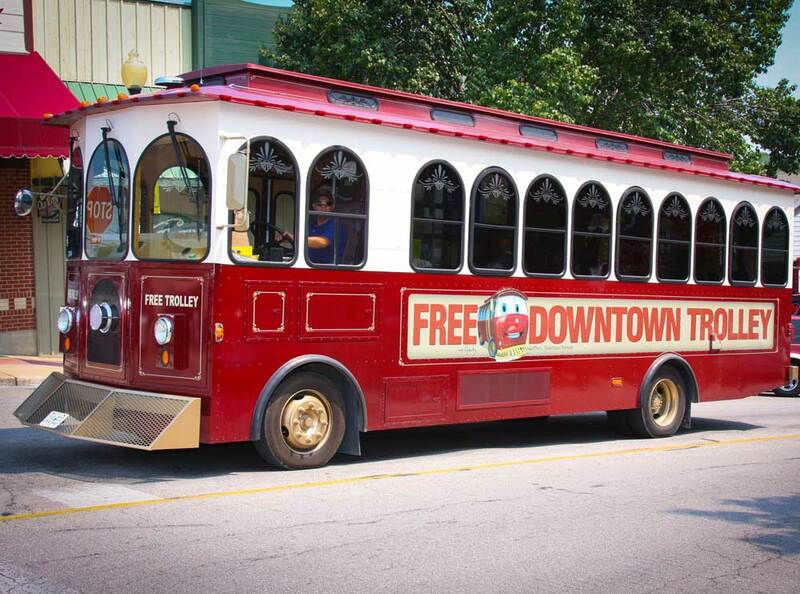 Initially, there was one trolley and a short route that had 5 stops covering a few blocks of Historic Downtown Branson around Main Street and Commercial Street, as well as the north and south ends of Branson Landing. 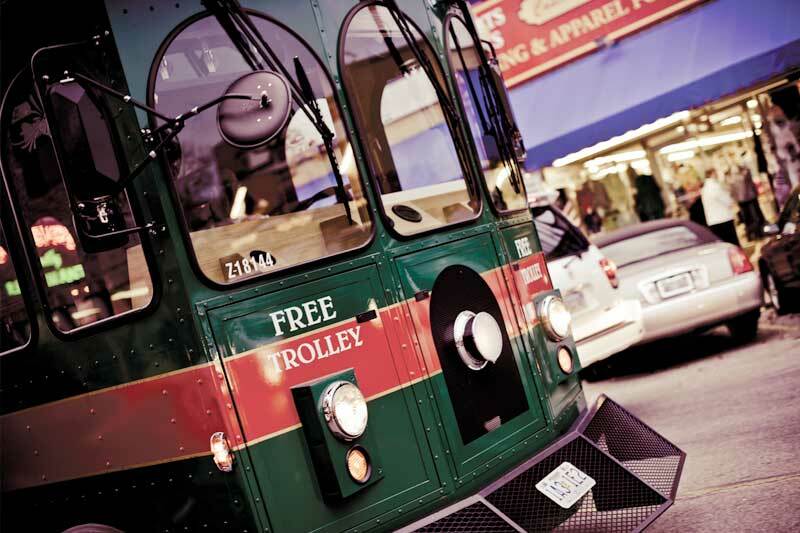 During these first years, the trolley was painted green and known only by its name on legal documents: The Downtown Branson Discovery Trolley. The trolley routes were later expanded to include more businesses on Main Street, Pacific Street and the Lakeside RV Park. Today, there are 13 stops throughout downtown and two separate routes. Then in 2011, the trolley board of directors decided that the trolley needed a proper name: Something that could be used by the board when marketing the transportation system … something memorable. A contest was held where Branson, Hollister and Kirbyville 3rd and 4th graders were asked to suggest names for the trolley. Students came up with many great suggestions that were unique and marketable. Among the titles the students entered were Mr. Lynch, Harold and Marvel, each with links to the area’s rich history. The winning submission was “Sparky,” submitted by Branson 3rd Grader Ben Walworth. 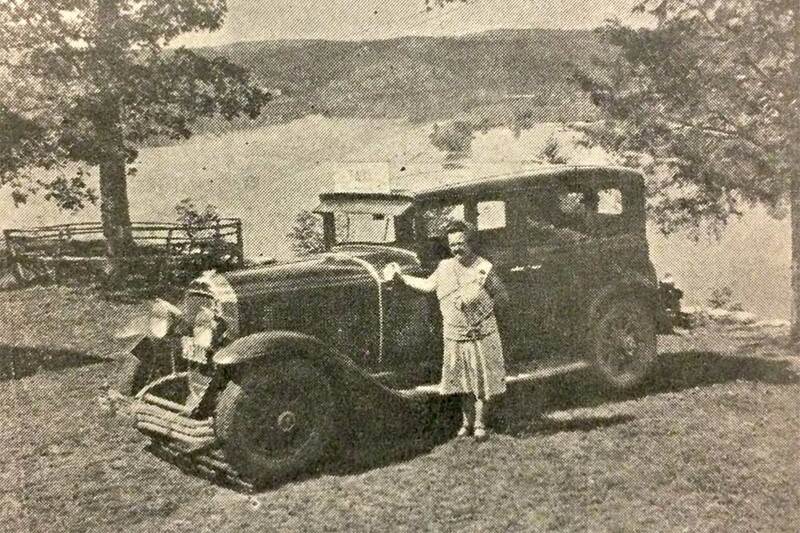 The name was in honor of Pearl “Sparky” Spurlock, who started a tour and taxi business in Branson in the 1920s. For nearly 30 years, Branson’s first Sparky gave 100 tours a year, often picking up tourists at the train depot and driving them around the area. Pearl “Sparky” Spurlock and her Branson taxi. The modern-day Sparky continues Spurlock’s tradition of welcoming visitors and giving them a tour of the area. 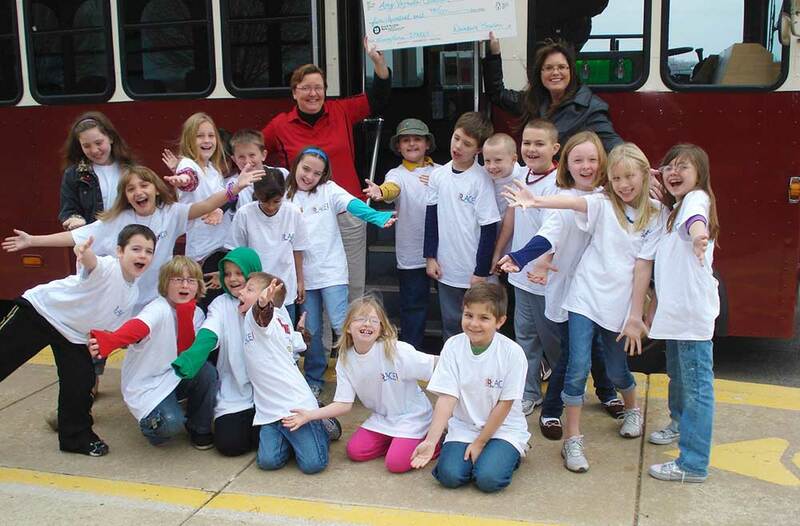 Ben’s classroom, taught by Mrs. Amy Vejraska, received $500 for classroom supplies; her students got to ride the trolley and also enjoy a McDonald’s party provided by Branson Grayline. 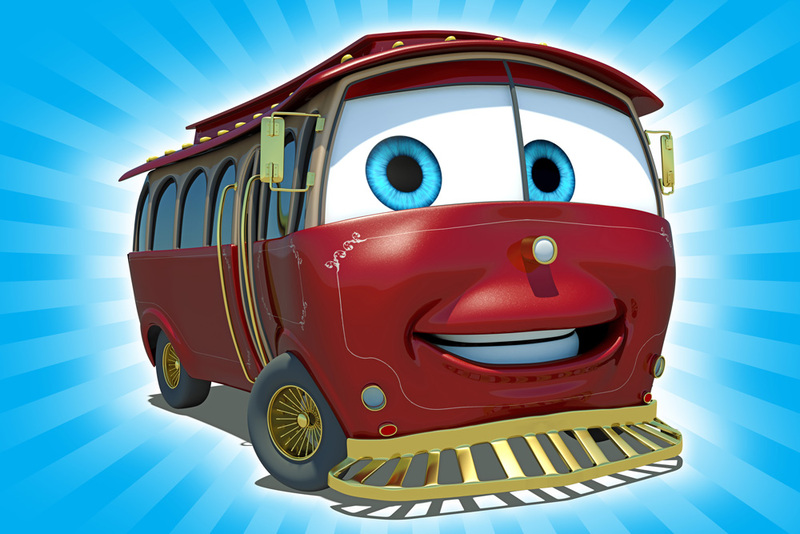 With a name in hand, the trolley board asked Branson-based video production company Digital Lunchbox to bring Sparky to life. The project involved creating a mascot that could be used in video, print and online promotional efforts. 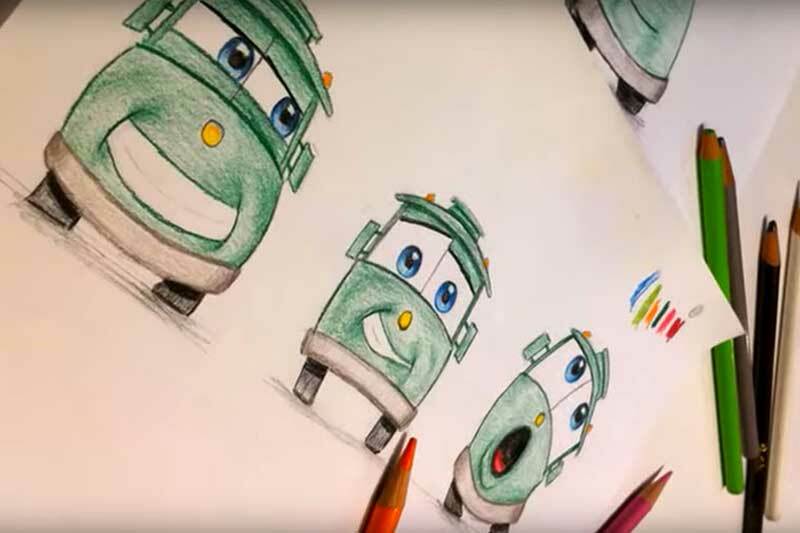 Drawing on inspiration from the animation style used in Pixar films, Digital Lunchbox created the character we know today as Sparky. Sparky was then animated as a CGI character that could be inserted into video shots. He became the narrator of a video that plays on-board the trolleys, educating riders about all the things to do in Downtown Branson. The company went on to win two Gold and two Silver ADDYS in 2012 from the American Advertising Federation for the Sparky character and the subsequent videos. And the rest, as they say, is Ozarks folklore.